It has been clear for a long time that Piaget’s (1953) account of the development of early sensory-motor coordinations is inadequate. Piaget’s view was that independent schemes become coordinated through mutual accommodation and assimilation. Because early sensory-motor schemes are independent, coordinations would be established by accident and not as the result of any intentional activity on the part of the infant. However, this account is inadequate for at least two reasons. 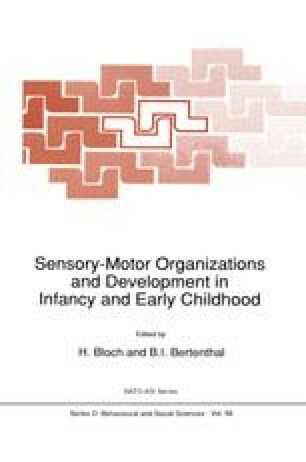 First, early sensory-motor systems are more integrated than Piaget believed them to be and they do not always function independently. Second, the development of early coordinations appears to come about through the operation of deliberate, goal-directed behaviour.